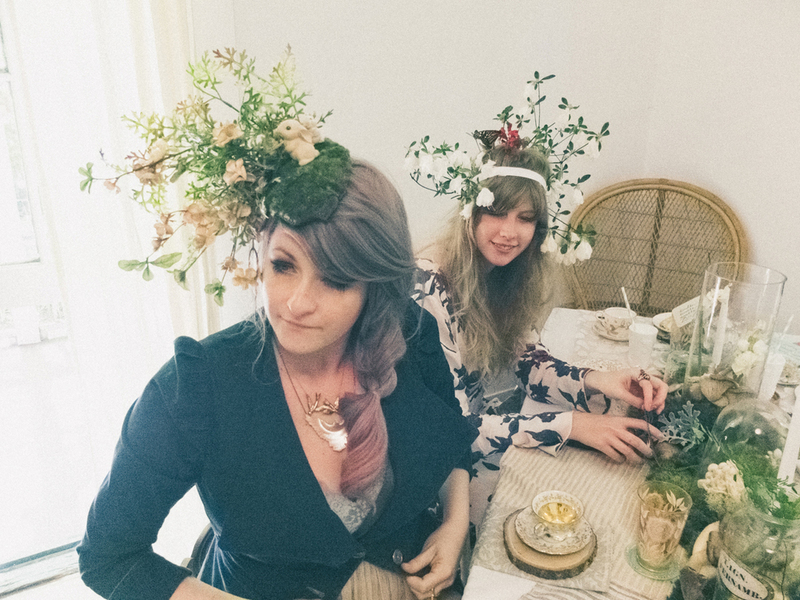 Earlier this month in Athens, Georgia, I attended a magical, impeccably-styled tea party hosted by a member of the Super Royal Tea Society. This tea went beyond an afternoon get-together and into the realm of fantasy destination getaway. Outside, the cottage and surrounding grounds were lush with exotic vegetation and flowers, perfectly coordinating with the host's earthy moss-and-twig centerpieces and organic table displays (terrariums, anyone?). Inside stretched an elegant table with fastidious place settings (e.g. 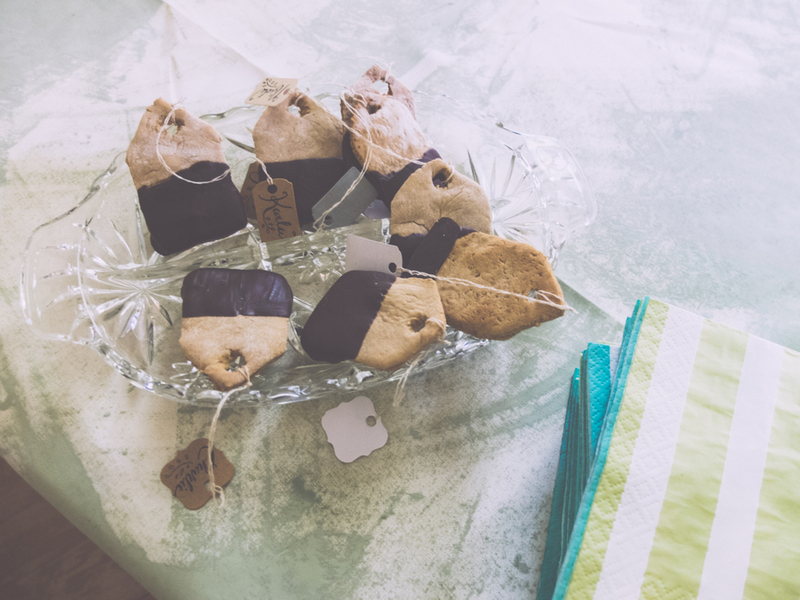 chocolate-dipped, teabag-shaped cookies with our names on the tags). 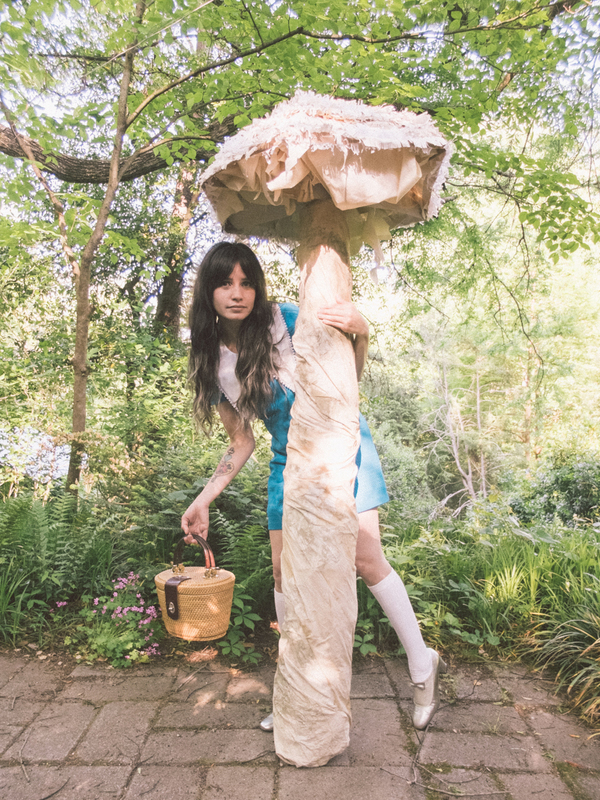 At a station labeled "Eat Me," a tree sprouted saucers presenting adorable twists on tea fare (bunny toast, mushroom macarons, etc). At a station labeled "Drink Me," a display of delightful china pots had been filled to the brim with high end brews. All was themed to a "tea"---a mad tea, that is. The hatter left his signature in every room, with beautifully hand-drawn signage, pocket watches, cast bronze rabbits, a platter of the "best butter," teacups displaying all manner of muchness, and tiny bottles labeled "drink me," all scattered about along with numerous other references to the book. 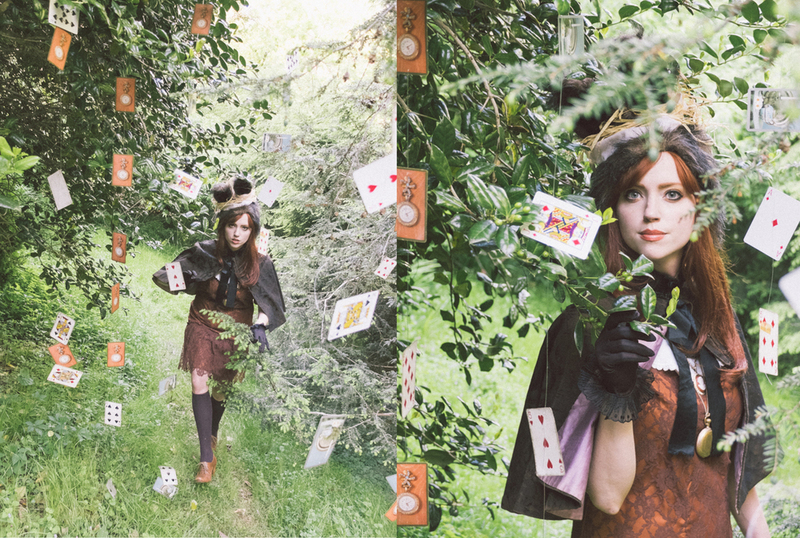 Guests arrived "decked out" with cards, flowers, and top hats, bringing wonderland to life. I attended as the March Hare. To document, I brought my new FujiFilm X20, a pocket-sized digital rangefinder which I was trying out for the very first time. Such a beautiful dynamic range on this compact little guy! Here are some of my favorite snaps from the tea. Did I mention the host's pet rabbit arrived--just in time for a very important date--in a smoking jacket and mini top hat? Suffice it to say: the afternoon was a dream, and I'm not positive I've woken up.